Violinist Ken Lin enjoys a career in performing as soloist, chamber musician, and orchestra player. Being the top prize winner of the National Violin competition of Taiwan at age of 12, Mr. Lin had already been performing as soloist across the country in early age. Mr. Lin holds a Bachelor of Music in Violin performance with distinction from the University of Victoria, also Master of Music and Professional studies diploma in Violin performance from the San Francisco Conservatory of Music. Being a distinguished scholarship student from both music institutes, Mr. Lin has served as Concertmaster and was the winner of the Concerto competitions, which led him to appear as soloist with orchestras. 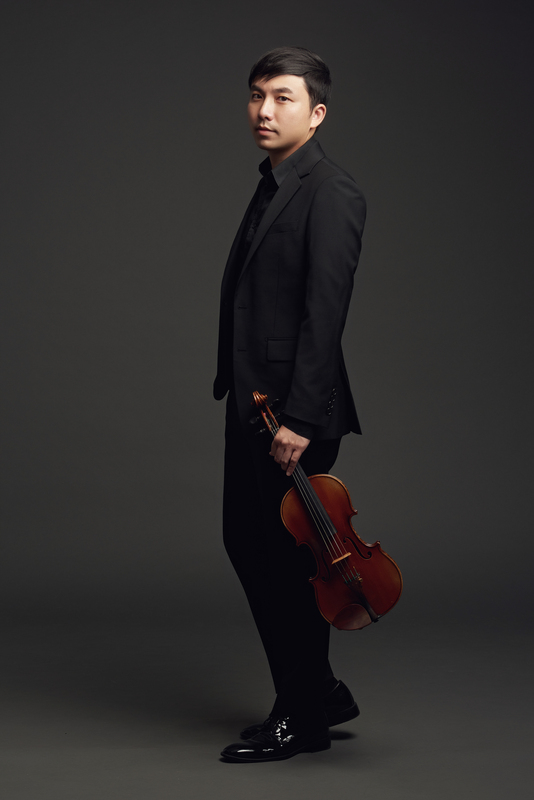 As a full scholarship recipient from the Quartet Festival in Waterloo, Aspen Music Festival, and the Mendocino music festival, Mr. Lin has studied with Sharon Stanis, Ian Swensen, Henryk Kowalski and has collaborated with renown artists such as Robert Mann, Gilbert Kalish, and Martha Katz. He has also appeared in the master class of Charles Castleman, Mauricio Fuks, members of Juilliard, Cleveland, Lafayette, and Penderecki string quartet. After graduating from the conservatory, Mr. Lin has performed with the San Francisco Ballet Orchestra, California Symphony, Marin Symphony, and Santa Cruz Symphony. In 2005, he was invited to perform an exclusive concert for the former President of Taiwan, Den Huei Lee, and conducted Master classes through Taiwan, Korea, and USA. As founder of the acclaimed KAS piano trio, he has toured Asia and North America in 2007 with a 1713 “Wirth” Stradivarius Violin sponsored by Chi-mei fine art Ltd, and the trio’s performances were featured in major radio stations in Asia. From 2008- present, Mr. Lin has devoted himself to teaching young talents, and at the same time giving numerous concerts in California and Vancouver, Canada. As a violinist of the Vancouver Opera Orchestra since 2012, Mr. Lin stays very active performing solo concerts throughout the years. His recent solo performances including Tchaikovsky violin concerto with the Cambrian Symphony in California, and French sonatas at Capilano classics series at Capilano College.